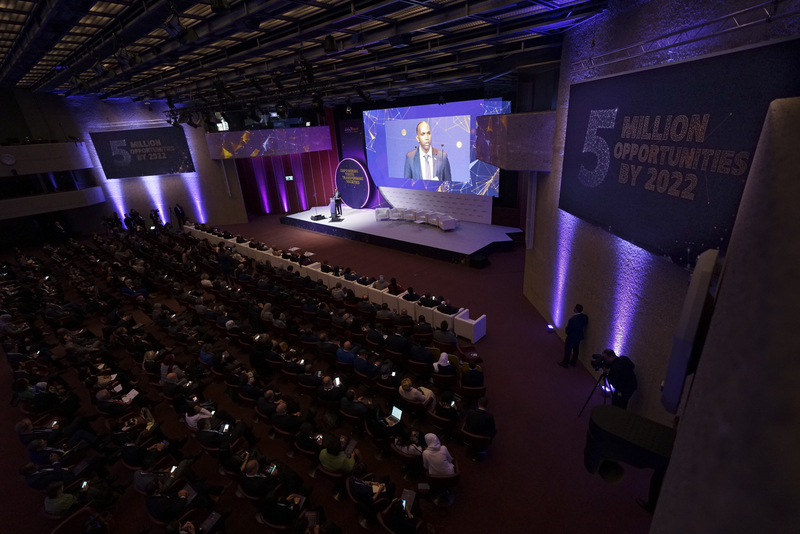 Describing the role of Silatech foundation in providing more than 1,100,000 jobs as pioneering work, the participants at Silatech high-level event in Geneva urged the international community to do more to address unemployment. They also stressed the importance of investing in youth development to contribute to the promotion of economy and peace for the security of the whole world, and to implement the international strategy against terrorism, especially as young people are the foundation of the renaissance of nations. United Nations High Commissioner for Refugees Filippo Grandi stressed the importance of listening to the voice of young people, adding that they have always been followers and now they should be leaders, stressing the importance of investment to employ young refugees in host countries, describing the achievement of Silatech and its success in providing more than one mn jobs for young people as a leading role. For her part, United Nations Secretary-General’s Envoy on Youth Jayathma Wickramanayake said that poverty leads to social exclusion and marginalisation, noting that 64mn young people are unemployed while 70mn workers still live in extreme poverty. Catalist & Chief founder of Jokkolabs Mr. Karim Sy said that it’s a must to adopt creative solutions to empower youth specially in Africa, the richest continent of youth. “How do you deal with a doubling population every 20 years? We need innovation, we need to do things totally differently, technology allows that, it is incredibly powerful. The technology is bringing us the opportunity to work together. We can bring new solutions, we can think different, for farming, for energy, for education. We can invent a new path”, added Mr. Sy. Ambassador for Silatech, Chaker Khazaal, said that young people need to build bridges of communication rather than walls. As a former refugee, he has learned that he must cling to hope, adding that the world is dark, but hope must be upheld because it is the only way to the life of any refugee and thanks to organisations like Silatech, there must be the belief that tomorrow will be better. Speaker Chris Gardner, Author of In the Pursuit of Happyness called for action to tackle unemployment. He also thanked Her Highness Sheikha Moza bint Nasser, Chairperson of Silatech’s Board of Trustees and Advocate for the Sustainable Development Goals, for her efforts in order to enable the youth and provide them with job opportunities through Silatech. He added that Silatech’s work on empowering and improving the lives of young people is more important than ever, especially in a world that grows darker and more frightening every day. The participants, including politicians and officials of the United Nations, the European Union and prominent international organisations, agreed that the provision of employment opportunities for young people is a key to economic development and real investment in any country. Prime Minister of Somalia Hassan Ali Khayre said 70% of Somalia’s population is young and every job opportunity is an investment in the country’s future. He added that the youth in the population in his country can be a positive or negative factor. If provided with the skills of entrepreneurship they would be the backbone of economic growth but ignoring them and not providing them with employment opportunities will make them a cause of instability and conflict. United Nations High Commissioner for Human Rights and former president of Chile, Michelle Bachelet, said youth are partners in change and benefit from it, and their voices must be heard. She highlighted the importance of youth’s role, their empowerment, investing in them and interacting with them. Her Highness Sheikha Moza bint Nasser, Chairperson of Silatech and UN Sustainable Development Goals Advocate, had announced on Monday that youth will receive 3mn employment opportunities globally by 2022, calling for more partners to help raise that number to 5mn. Silatech is an international, social, non-profit, non-governmental organisation based in Qatar established by Her Highness Sheikha Mozah bint Nasser in 2008 which aims to combat unemployment, extremism, and marginalisation of young people and women through employment and economic empowerment initiatives. Silatech is empowering young people to lead change and improve their lives and communities for the better. In response to the commitment of youth, citizens and residents of Qatar to help alleviate the suffering of refugees and internally displaced persons, and the organization’s belief that achieving peace and stability everywhere in the world starts from combating poverty, unemployment, extremism, and marginalizing young men and women through empowering them and providing them with jobs, Silatech launched a humanitarian campaign entitled “Charitable competition to support young refugees and internally displaced persons” at a press conference held today. The initiative seeks to involve the youth of Qatar and the Qatari community in providing humanitarian assistance and solutions to the Syrian crisis of refugees and displaced persons worldwide. It also contributes to enhancing the role of youth as global citizens to address the major global challenges, in particular the issue of refugees and displaced persons, and promote a sense of compassion and responsibility towards their peer disadvantaged youth. led by 30 young men and women in Qatar competing to mobilize funds to generate jobs for 30 thousand young refugees within 30 days, the campaign aims at providing refugees and their families with decent livelihood opportunities and enable them to improve their lives. 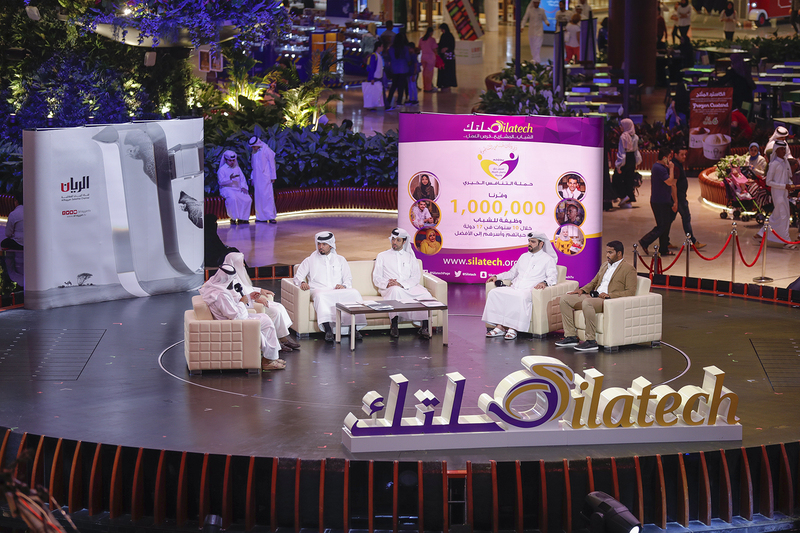 Al Emadi stressed on dedicating 12th of October 2018 for donations through live broadcast that will be hosted by Al Rayan TV and in Mall of Qatar from 7:00 pm to 10:00 pm where everyone is invited to support youth to collect enough donations to create job opportunities for Syrian refugees. 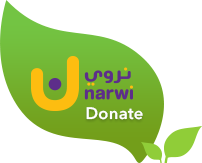 Donations will be through the live broadcast or all communication channels announced by Al Rayyan TV throughout the month of October. This campaign, spearheaded by Youth in Qatar, was launched under the sponsorship and with the support of various partners from all sectors contributing to the efforts of the State of Qatar and its pioneering humanitarian and developmental role to help neighboring societies in general and the refugees in particular. It is based on the unity of the government and its people as a single body for promoting charity and philanthropy. The State of Qatar is at the top of the list of donor countries that provide humanitarian and development assistance worldwide; an active humanitarian role that contributes to its achievement and continuity all segments of Qatar’s society. “It is with great honor for our young people to lead this campaign for their brothers and sisters who do not enjoy the same opportunities, to be role models for giving, and to compete for the good of others. We thank all the partner institutions that have not spared efforts to support this humanitarian campaign. This is a living example of the culture of the State of Qatar for humanitarian and charitable work, the high values inherent in the Qatari society, residents and citizens, individuals and institutions, and across all sectors. We look forward to collecting enough donations to provide sources of livelihoods for these unprivileged youth” Al Emadi concluded. The tragedy of refugees is not limited to fleeing their countries in search of safety. It has cost them the loss of family and loved ones, and the image of the Syrian child “Elan” who died on the shores of Turkey is still fresh in our memories. These refugees who survived the war or the death brokers face complicated problems and lack of access to suitable work, for reasons including lack of proficiency in the language of the host country, inadequate experience with labor market requirements, lack of required educational qualifications in the host country’s labor market or because they had to leave their studies and could not obtain a university degree that would enable them to find decent work, or simply because of the poor economic situation in the host country. Silatech has responded to the refugee crises wherever they are and has devised customized programs to provide them with employment opportunities, training, and skills development to get jobs in their new lives. For example, Silatech has implemented various programs to support thousands of refugees and internally displaced persons in various countries, such as ad hoc programs that trained and employed thousands of Syrian refugees in Turkey, the program of supporting youth entrepreneurs in the Palestinian refugee camps in Lebanon and a program to train internally displaced youth in Syria and provide them with tools and workshops to work on future projects. In addition, Silatech implemented an economic empowerment program for battered, disabled, refugee and displaced women in Sudan, as well as many other programs to train and employ young men and women displaced by conflicts and natural disasters in Somalia. The proactive and inclusive vision of Her Highness Sheikha Moza bint Nasser, which sees youth as the foundation of the renaissance of nations if they are empowered and linked to employment opportunities, has proved successful over the past ten years through providing one million jobs for young people which have changed the lives of entire families and communities to the better in 17 countries in the Middle East and North Africa from the countries in which Silatech operates to support youth employment, including young refugees and displaced persons. Young people have always been the focus of Silatech’s work, and in light of the difficult economic conditions experienced by refugees and their families, this campaign is a continuation of the organization’s hard work in fighting poverty and youth unemployment, which is one of the most pressing problems in our Arab world. Her Highness Sheikha Moza bint Naseer, Chairperson of Silatech’s Board of Trustees, and His Excellency Mr. Ahmed Isse Awad The Minister of Foreign Affairs and International Cooperation of The Federal Republic of Somalia, attended today in New York City today the signing of three agreements to economically empower Somali youth by securing more than 75,000 jobs in Somalia. A collaboration between Silatech, American Refugee Committee (ARC) and the office of the United Nations High Commissioner for Refugees (UNHCR), the first agreement aims to provide housing and energy solutions for 1,000 families and develop local youth owned enterprises; creating around 3,000 jobs for returning refugees and IDPs in the Kismayo district. The second agreement is to support Al Amal bank in financing youth enterprises to create 63,414 jobs around Somalia. In partnership with the Somali Institute for Development and Research Analysis (SIDRA), the purpose of the third agreement is to build the skills of 9,000 graduates and place them into jobs in the labor market. As part of its continuous efforts to empower youth in Somalia and activate their role in developing their communities, Silatech signed the three agreements to provide solutions to combat unemployment, poverty, marginalization and extremism. Silatech also focuses on economically empowering women in Somalia and engaging them in promoting peace and security in their societies. Furthermore, Her Highness Sheikha Moza bint Naseer, Chairperson of Silatech’s Board of Trustees, has attended the signing of a Memorandum of Understanding (MoU) between Silatech, the United Nations Democracy Fund, and Tamkeen for Development to collaborate within their respective mandates and their common goals in the area of improving youth empowerment and participation and skills developments based on the World Programme of Action for Youth. The MoU aims at engendering, promoting and strengthening youth engagement, skills development, entrepreneurship and improving employability in countries or regions of mutual interest. Since its inception in 2008, Silatech has secured one million jobs for youth through working in coordination with governments and international organizations and in cooperation with its partners to design and implement programs that uproot youth out of poverty and chronic unemployment, thus empowering them to contribute to the socioeconomic development of their countries. Doha, 4thof September 2018:Silatech has created and launched an exciting opportunity for youth from every corner of the world to share their talents in graphic design through the Youth Icon competition. As part of Silatech’s initiatives aiming at empowering youth and promote their role in their societies, the competition provides a unique opportunity to engage talented youth in designing an icon that represent youth on an international level. The winning design will be adopted as the youth icon of Silatech, an organization that aims to combat youth unemployment and economically empower youth through connecting them to job opportunities and resources. The competition calls upon youth aged between 18 and 35 to submit their creative design. Deadline for submissions is October 18th, 2018, and the winner will be announced on November 11th, 2018. The winner & creator of the icon will participate in launching it at an International event, the light will be shed on his/ her work and the design and will gain recognition in international and local media outlets as well as all Silatech social media platforms, along with other prizes to support and motivate the winner in their work. Virginia Commonwealth University (VCU), a renowned university in the field. Details of the application process and the terms and conditions are available on Silatech’s website http://silatech.org/youth-icon-competition. Silatech seeks to achieve the dreams of youth to live a decent life and achieve a world that allows them to work and participate in the economic development of their societies. It works to connect youth to jobs and economic opportunities and jobs through innovative enterprise development and employment initiatives. Over the last ten years, Silatech has secured around 900,000 jobs for youth in 17 countries. Reiterating its engagement with the local community, Silatech, the regional social organization that works on connecting Arab youth to jobs and expanding local economic opportunities, and in partnership with Occidental Petroleum of Qatar (OXY) and Texas A&M University at Qatar, held Nasmou training from May 9 to 12, 2016 at Texas A&M University at Qatar. Developed in partnership between Silatech, Oxy Qatar and Texas A&M at Qatar, Nasmou is a four-day program that aims to equip Qatari students with the necessary skills and mind set to ease their transition into the workplace and ultimately become the nation’s future leaders. It provides leadership insights and tackles many important issues including demonstrative and cultural intelligence, team work, and ways to face challenges, as well as overcoming cultural boundaries and success in a multicultural environment. The unique program exposed the students to four different themed workshops in the four days. The theme “Setting the Scene”, was held on the first day with the objectives to clarify to the students the ways to establish the ground rules, which will create a safe learning environment for the course, build working relationships with fellow participants, and to understand the complexities of operating in a workplace. Students learnt how to work effectively in a team where they explored diversity and differences of opinion and experience and the effectiveness of team work, including ways to question, listen and communicate, thus achieving a high performing team. The participants attended also a master class on qualities of a global leader. Themes explored were Emotional Intelligence, Cultural Intelligence, Time Management, and Conflict Management. In the second day of the program, students got introduced to Emotional Intelligence and Cultural Intelligence and the relation between the two concepts. The objective was to understand the importance of Cultural Intelligence (CQ) in a globalised world and show how is CQ used to manage personal stress and negotiate conflict in the workplace and the importance of questioning and listening. “Leading Change” was the theme of day three, where students got a first-hand insight into operating in a professional environment and work on a real-life workplace challenge. During the day, students also discussed the Creative Collaboration among the team members and how to develop solutions to the challenges. On the last day of the program, students learnt how to implement their skills in their careers and discussed the workshop’s main elements with a panel of stakeholders from Occidental, Silatech and Texas A&M at Qatar. Upon completion of the program, selected students were offered an internship opportunity at Oxy Qatar to further develop their skills and apply what they have learned in real-life experiences. Silatech Qatar Country Manager Sheikha Alanoud bint Hamad Al-Thani said: “We are continuing to partner with various universities in Qatar to implement the Nasmou program and equipping more students with the “soft skills” needed to ease their transition from school to work. Nasmou program exemplifies the type of coordination between the private sector, academia and non-profit organizations that is necessary to produce a high-quality graduates who can meet the demands of Qatar’s economy. This is why are proud of our partnership with Oxy Qatar and Texas A&M at Qatar that contributes to achieving Silatech’s vision in having an Arab world in which young people are able to work and are engaged in the economic development of their societies. Mr. Stephen Kelly, President and General Manager, Occidental Petroleum of Qatar Limited (Oxy Qatar), said: “Oxy Qatar is pleased to partner again with Silatech, and with Texas A&M at Qatar for the first time, to support the Nasmou program. After its success at Qatar University, Nasmou is being extended to cover additional universities. Programs such as Nasmou provide students the opportunity to explore real-life experience in the workplace and help them develop ways to decrease stress and increase productivity, motivate and inspire them to take charge of their career direction, and equip them with the tools to cope with and adapt to changes in their working environment.